Stampin' Up! announced yesterday that "due to unforeseen problems with our supplier," Watercolor Wonder Crayons and Watercolor Pencils, have been discontinued. Can I say that's disappointing. 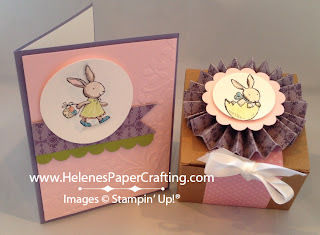 I just used them for my Easter cards and treat boxes and love the way they work! Now for the good news! While supplies last, the remaining collections of the Watercolor Wonder Crayons available to order. The Subtles (item 119802), Neutrals (item 119805), and Regals (item 119803) Collections are only available while supplies last. Get 'em before they're gone!